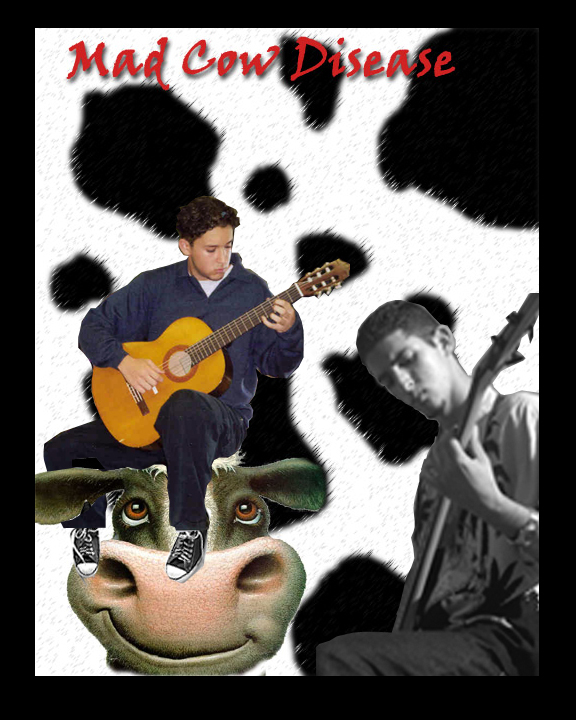 Welcome to the home of Mad Cow Disease - the official page! This is where you wanna be if you are MAD for Mad Cow Disease! Learn it all here from member bios and song lyrics to influences! Click the image below to here a SAMPLE sound file of some very original MCD music. Note: The sound file uses QuickTime, if you don't have it you can download it here.